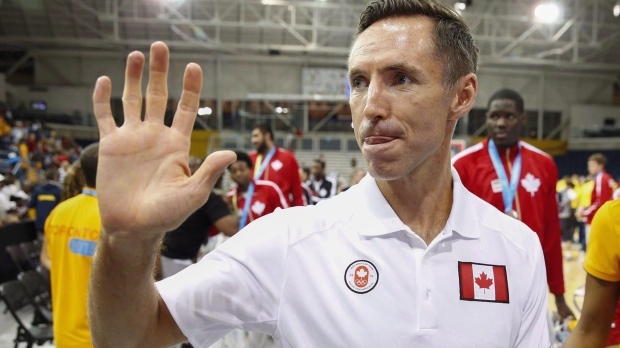 VANCOUVER - When Steve Nash is inducted into basketball's Naismith Hall of Fame on Friday, his high school coach will be watching from Victoria and beaming with pride. 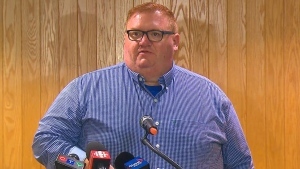 Ian Hyde-Lay said that he feels lucky to have played a part in the point guard's journey. Nash will be honoured in Springfield, Mass., on Friday in recognition of his decades-long basketball career, both in the NBA and with Canada's men's team. The 44-year-old has left an indelible mark on the game, Hyde-Lay said. “He was a driving force in basketball around the world and the way it's played,” he said. The eight-time NBA all-star is also an easy person to like on and off the court, the coach added. After playing for Hyde-Lay in high school, Nash suited up for Santa Clara University where he named West Coast Conference Player of the Year in both '95 and '96. He was drafted by the Phoenix Suns in 1996 and went on to play 1,217 regular-season games and 120 playoff matches with the Suns, Dallas Mavericks and Los Angeles Lakers. Nash averaged 14.3 points, 8.5 assists and 3.0 rebounds in his regular-season career. He was named league MVP twice, and by the time he retired in 2015, Nash had put up 10,335 assists, ranking third all-time in the NBA. Even as a teenager, Nash was exceptionally skilled and willing to put in tremendous amounts of work in order to move on from one level to the next, his former coach said. Hyde-Lay remembers watching the budding star play in Grade 9. At six foot three, Nash was known during his time in the NBA for his athleticism and stunning passes. Hyde-Lay said he pushed the pace of the game through passing and three-point shots, transforming basketball from a slow, physical slog into a rapid, entertaining spectacle. “Now basically every team plays some version of that game,” Hyde-Lay said. Nash is also known as the face of Canadian men's basketball, a team he played on for more than 10 years. He lead the squad to the quarterfinals at the 2000 Sydney Olympics and currently serves as general manager of the senior men's national team. The former CEO of Canada Basketball said Nash's impact may never be fully known. “His level of competitiveness drove Team Canada to win some great games and yet his biggest contribution may be how he has inspired the following generations to pick up a basketball,” Michele O'Keefe said in a statement when Nash's induction to the hall of fame was announced. This year's other inductees include former NBA point guard and head coach Jason Kidd, and Grant Hill, who played forward for the Detroit Pistons, Orlando Magic, Phoenix Suns and Los Angeles Clippers. Nash joins fellow Canadians Dr. James Naismith (inventor, 1959), Ernest C. Quigley (official, 1961), Peter F. (Pete) Newell (coach, 1979) and Robert J. (Bobby) Houbregs (player, 1987) as Hall inductees.